Aico Ltd, the market leader in domestic Fire and CO protection, are hosting a number of Fire & CO Industry Forums. Following a successful run of Fire Safety Events in Autumn 2018, we are hosting a further series of 5 Fire & CO Industry Forums in February 2019. These events will continue to inform and raise awareness of the latest Building Regulations and Legislation changes. 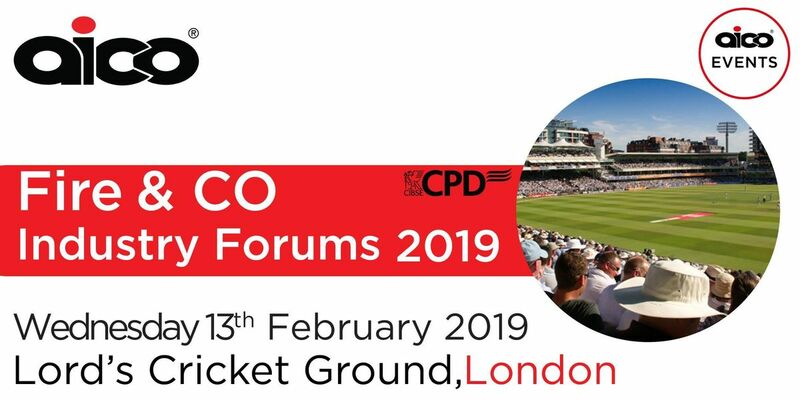 They will also give delegates the opportunity to listen to a range of informative guest speakers and hear about Aico's latest products and technology updates. Find out more about our new 3000 series, experience our new touch screen exploded alarm and find out more information about the forthcoming Gateway products. There will also be a chance for delegates to take part in CPD sessions. Limited spaces are available, please register early to avoid dissapointment.